Glancing at this building, I had initially thought it was a former Centennial style A&P. Looking more carefully, though, it certainly is not. The building is too shallow and wide, although the roofline does share some similarities. 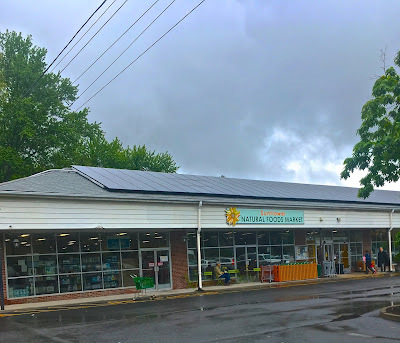 Sunflower had a good selection of natural and organic products, and most likely due to its INFRA cooperative affiliation, was not insanely high-priced. Other than this and a few other assorted small markets, Woodstock doesn't have a supermarket. There is, however, a Hannaford about three miles south in West Hurley. The store is located at 75 Mill Hill Rd, Woodstock, NY.